Shopping for Avengers Key Chains? When the evil A.I. Ultron faces off against the Avengers, the mysterious hero known as the Vision joins their fight. Created by the combined forces of Tony Stark and Bruce Banner, Vision has proved his worth to the world by aiding the Avengers in their struggle. 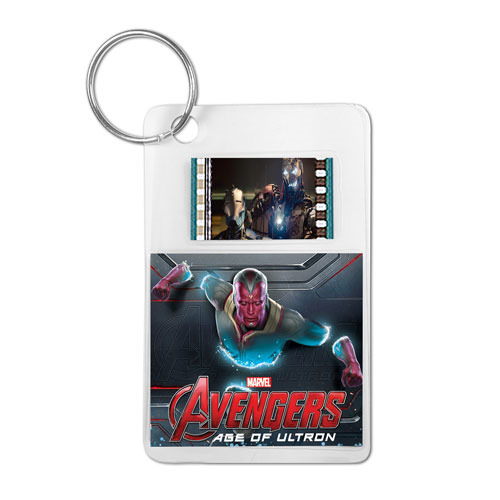 The Avengers: Age of Ultron Vision Film Cell Key Chain measures about 3-inches tall x 2-inches wide. Ages 12 and up.